Like most NHL entry drafts, the 2005 class was full of rising stars and high expectations. Led by superstar-in-waiting Sidney Crosby, and American stars Bobby Ryan and Jack Johnson, it was a year of promise and potential up and down the draft board. Perhaps no team was more desperate to capture lightning in a bottle than the Chicago Blackhawks, who had missed the playoffs six of the past seven seasons. Looking to turn their fortunes around, the Original Six franchise looked to Jack Skille, a rugged, no-nonsense right wing out of the National Team Development Program. The Blackhawks selected the Madison, Wis., native with the seventh overall pick, one of a then record eight Americans who heard their names called in the first round. “It was a good class to be a part of, and it was fun to see all the players getting picked up. I can still remember the exact player in the exact countdown,” said Skille, who had already announced that he would follow in his father Lee’s footsteps and suit up for the hometown University of Wisconsin Badgers. For Skille, dealing with great expectations was nothing new. He arrived in Ann Arbor, Mich., as a highly-ranked prospect, and his two years with the NTDP helped him refine his game. “Going through the [National Team] Development Program got me a little bit of exposure, playing with some of the best kids in the nation,” said Skille who helped the U.S. win back-to-back medals at the IIHF Under-18 Championships. 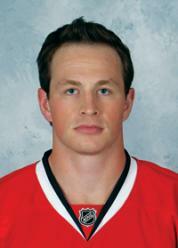 USA Hockey History: Selected by the Chicago Blackhawks in the 1st round (7th overall) of the 2005 NHL Entry Draft. Played two years at the National Team Development Program in Ann Arbor, Mich., from 2003 to 2005, helping the United States earn a silver medal at the 2004 Under-18 Championships, and a gold medal at the 2005 Under-18 Championships. Was also a two-time member of the U.S. National Junior Team, competing at the 2006 and 2007 IIHF World Junior Championships. Suiting up for his hometown Badgers, Skille continued to garner national recognition, making an immediate impact his rookie season, scoring the game-winning goal in triple-overtime to push the Badgers past Cornell University and into the 2006 NCAA Frozen Four for the first time since 1992. “That [winning the NCAA National Championship] was surreal, I couldn’t have asked for a better year or a better team of guys,” said Skille, who tallied 13 goals and eight assists during his freshman campaign. 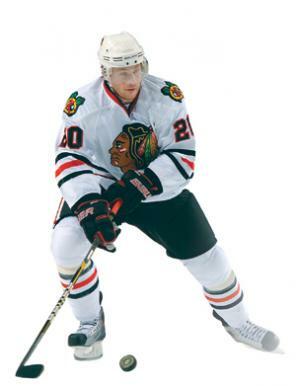 Again, high expectations followed Skille into his sophomore season, but injury and failure to qualify for the 2007 NCAA tournament closed the book on his college career as he opted to sign with Chicago’s AHL affiliate in Rockford, Ill., after the season. At a time when many of his fellow draft classmates were already making a name for themselves in the NHL, Skille found himself mired in the minors where he continued to work hard to refine different aspects of his game. “I’m working too hard and I get myself out of position, and that’s something I am learning every day,” said the 23-year-old, who finally earned a roster spot with the Blackhawks this season. And while Skille has managed to silence some of his critics while carving out a niche on the squad, it’s hard to shake the expectations that come with defending the first Stanley Cup title in 49 years. “It’s a lot of pressure to perform but I think guys have let last year go and we have to in order to have a good season,” Skille said. As a senior at Connetquot High School, Frank has a 4.1 grade-point average, and is in the top 10 percent of his class. He is a member of both the National Honor Society and the Foreign Language Honor Society. Frank prides himself on working in his spare time with the American Cancer Society and the United States Hockey Players Support Our Troops Foundation. Frank, as well as many other young hockey players in the area, have gotten together and made up care packages to send to Afghanistan for the troops. “My time management is key in order for me to maintain my high average in school, work with the charities that are close to my heart and still be able to play at a high level of hockey,” said Frank, whose dream is to play college hockey. This season, Frank looks to continue his high level of play as he and the Long Island Royals continue to make a push for the top seed in the tight Mullen Division.